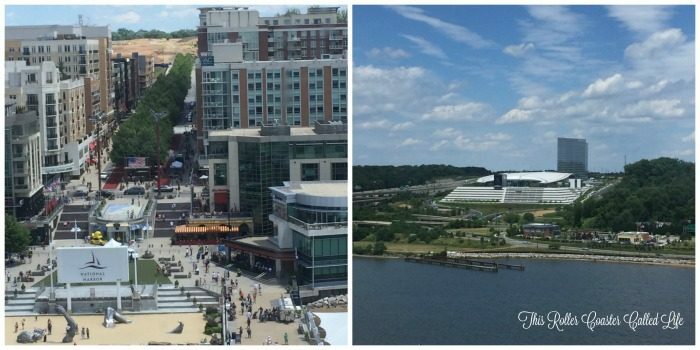 Gaylord National Resort & Convention Center is celebrating the summer with the Sounds of SummerFest! 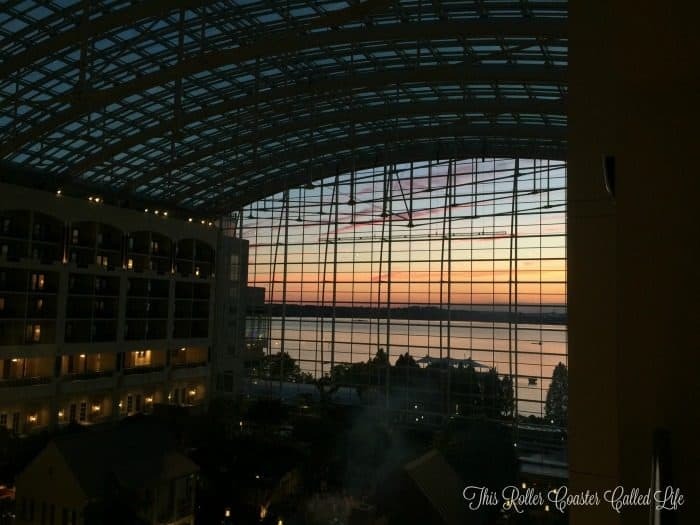 If you are looking for a short road-trip or a staycation and live near the Washington D.C./National Harbor area, this might just be the right place for you! 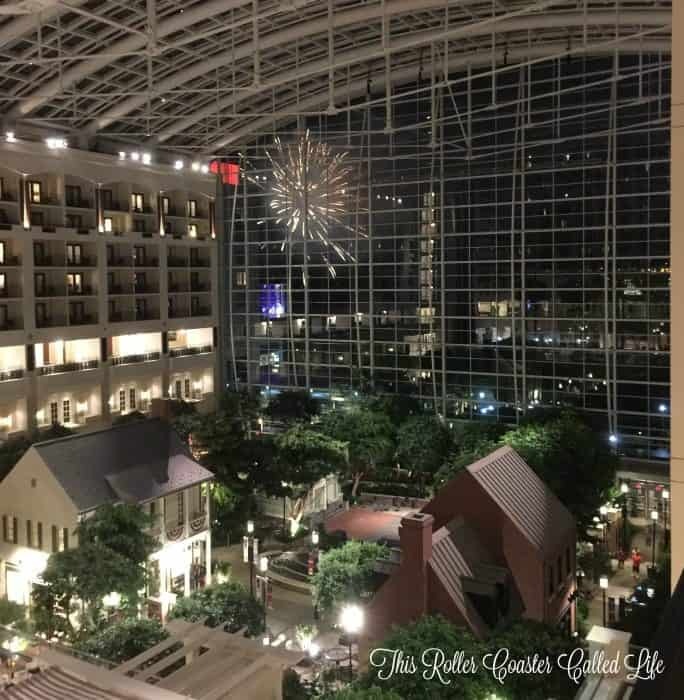 Last weekend, the Gaylord National invited my family to experience the fun summer offerings (both those that are happening now and one that is coming later this summer). 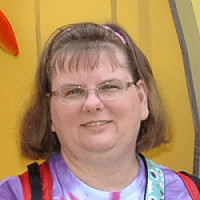 I can’t wait to tell you about one particular activity that is only happening in August, and it’s SENSORY-FRIENDLY, in my opinion… If you are searching for sensory-friendly activities, make sure to read on to the end! To comply with FTC guidelines, my stay at Gaylord was comped in hopes that I would share our experience with you. After checking in, we headed right up to our room. We live a little over 2 hours from Gaylord National, which is a nice short drive but yet we still feel like we are “away on vacation”. After the drive, we were ready to settle in and start exploring. 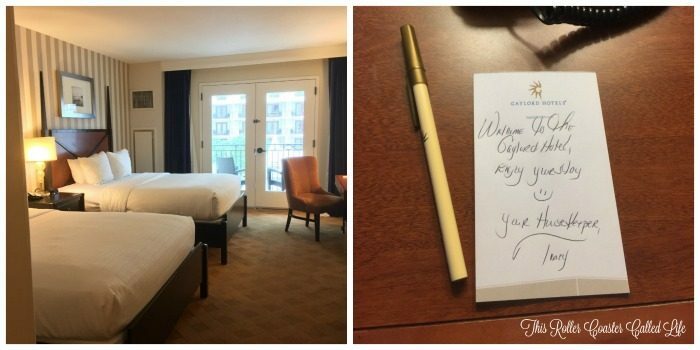 We love the size of the rooms at Gaylord National and the personal touch left by the person who serviced our room. 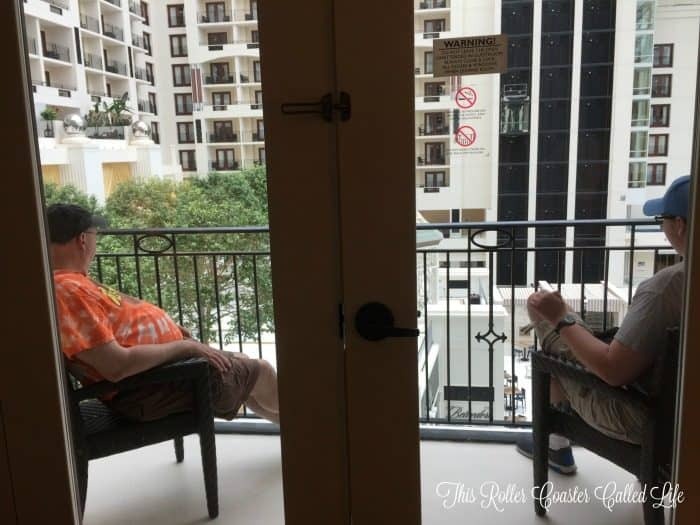 Don wasn’t able to make it with us on our last trip to the Gaylord National, so the first thing that Marvel Boy wanted to show him was the balcony overlooking the atrium. This is one of Marvel Boy’s favorite parts of this resort, and he was ecstatic to share it with his dad. Meanwhile, Songbird and I unloaded our things and got ready to head out exploring. Last time the kids and I visited, it was cold, and we stayed in the resort. 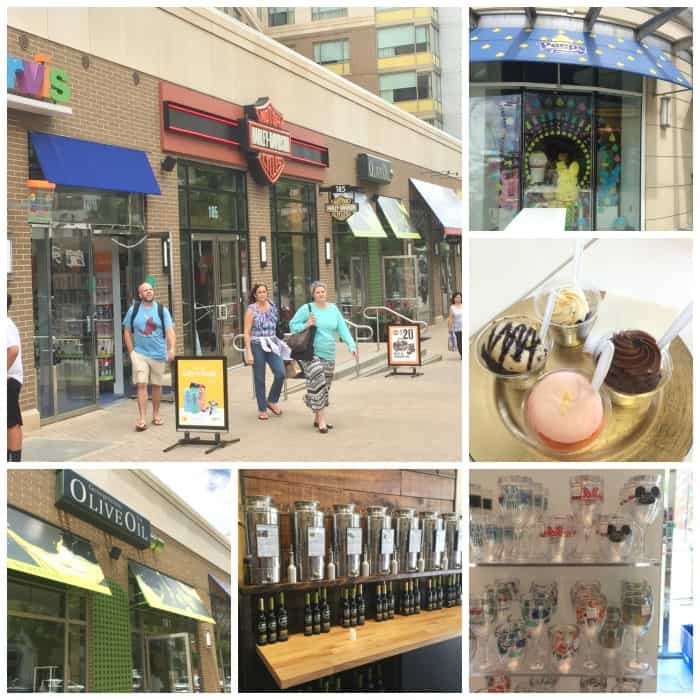 This time, we wanted to explore the shops at the National Harbor. I have to admit that I just stood and gazed at all the Tervis cups and glasses. There were so many that I liked, and I couldn’t decide. Olive Oil was another place that I just couldn’t make up my mind. There were so many great flavors! I’d love to go there by myself sometime and take the time to try a few more. We also found this awesome place called the Pretty Girl Cupcakery. We each had a different flavor and each one was yummy! 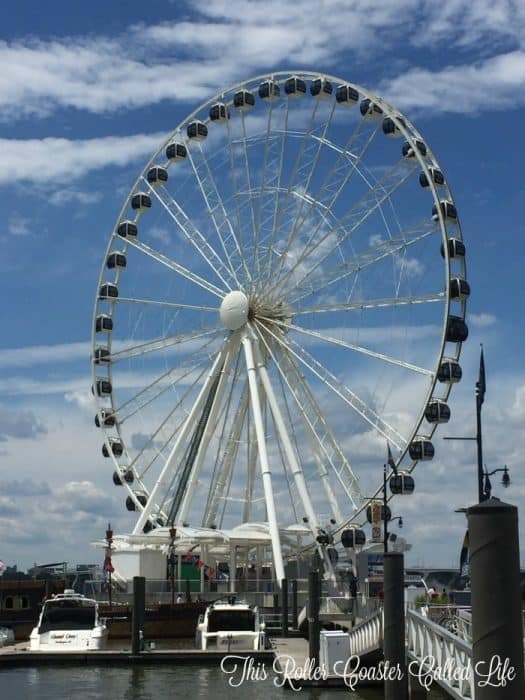 Another thing we tried at the National Harbor was the Capital Wheel. Songbird, Don, and I were eager to ride it, but Marvel Boy wasn’t quite sure. We took him closer to the wheel, so he could see that the gondolas were totally enclosed. We also found out that the gondolas were very nicely air conditioned. Marvel Boy challenged his fears and found that it was one of his favorite activities of the day. He especially liked that he could aim the cold air directly at him, and that relaxed him enough that he could enjoy the view from the top. We were able to look down on the National Harbor. Can you believe that we were able to see the Washington Monument from the wheel? After wandering around the harbor for a while and then doing the Music Mystery Scavenger Hunt, we headed back to the room to get ready for the movie. 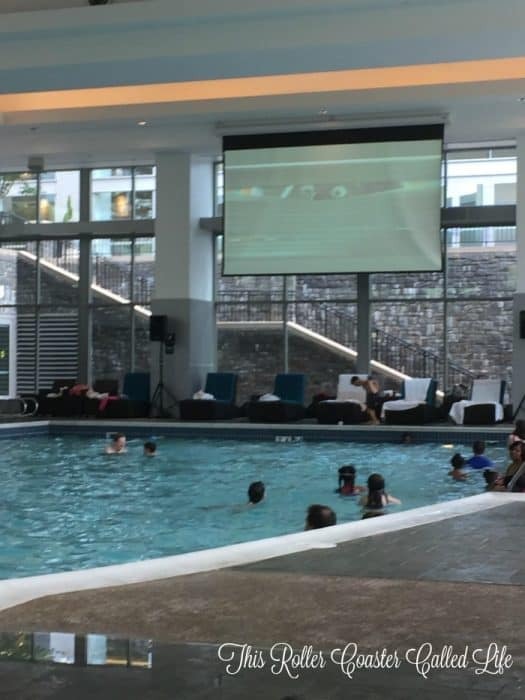 The kids were really looking forward to seeing a “swim-in” movie! After we went swimming, we headed back to our room to get ready for supper. We were really looking forward to what was scheduled for after supper! We were going to get a preview of a cool new Summer PJ Party that is only scheduled for Saturdays on August 5, 12, 19 and 26 from 8pm-9pm. The information said that there would be a Silent Disco. Now, I have never been to a Silent Disco before, nor had I even heard of one. Have you heard of a Silent Disco before? A Silent Disco is one where the participants wear headphones. In our case, there were three different channels we could listen to. The channel that the DJ was on (teaching dance moves and interacting with the kids), one that had Disney teen-type music, and an 80s channel. Not only could we choose the channel, but we could also adjust the volume as we pleased. We could also tell what everyone else was listening to by the color on their head phones. If they were listening to 80s, the ring was red. If they were listening to the DJ, it was blue. I’m sure those watching from outside the party had a laugh at people dancing with “no audible” music. There were also bean bags for the kids to sit on if they didn’t want to dance. I will say that the Silent Disco was Marvel Boy AND Songbird’s favorite part of the whole weekend! I really think that this is a great activity for those on the Autism Spectrum and those with Sensory Processing Disorder. With the ability to choose the music and adjust the volume, it gives the child the chance to set things to his own liking. If he doesn’t want to dance, he can take the headphones off and sit on a bean bag. If this sounds like something your family would enjoy, don’t forget the dates are Saturdays on August 5, 12, 19 and 26 from 8pm-9pm. 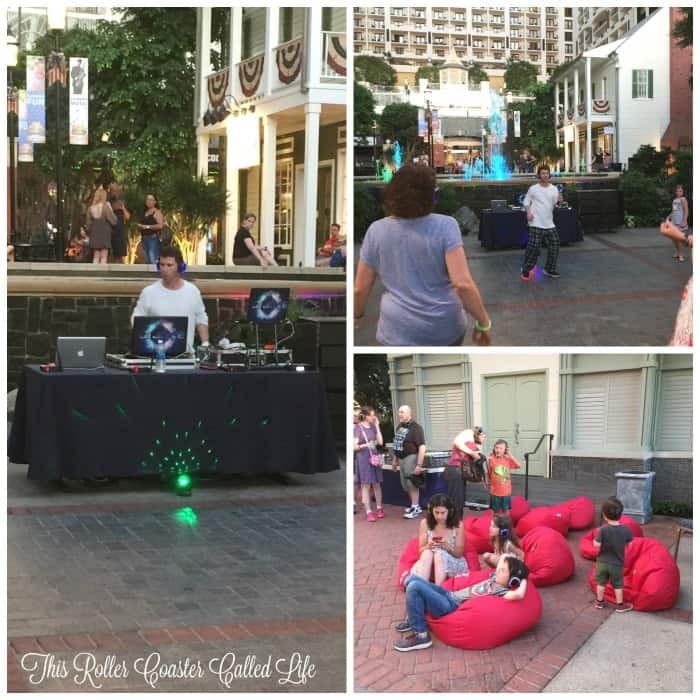 If you think the Silent Disco sounds like fun, but you don’t have kids… The big kids get their own chances at a Silent Disco, there are adult Silent Disco parties for those 21+ in July. You can check out the dates and other musical offerings on the Gaylord National’s entertainment guide. As the party ended, we headed toward our room to view Americana – Nightly Atrium Laser Light Show at 9:20 pm (nightly). While waiting for the show to start, we were treated to a beautiful sky over the Potomac River. The kids enjoyed watching the laser show from the balcony of our Atrium View room. However, it is also beautiful from the atrium, as well. After the laser show, we were treated to some fireworks. I didn’t see this on the schedule, so I don’t know if they were being shot off at the Gaylord National or somewhere else. However, it brought the perfect end to a wonderful day! 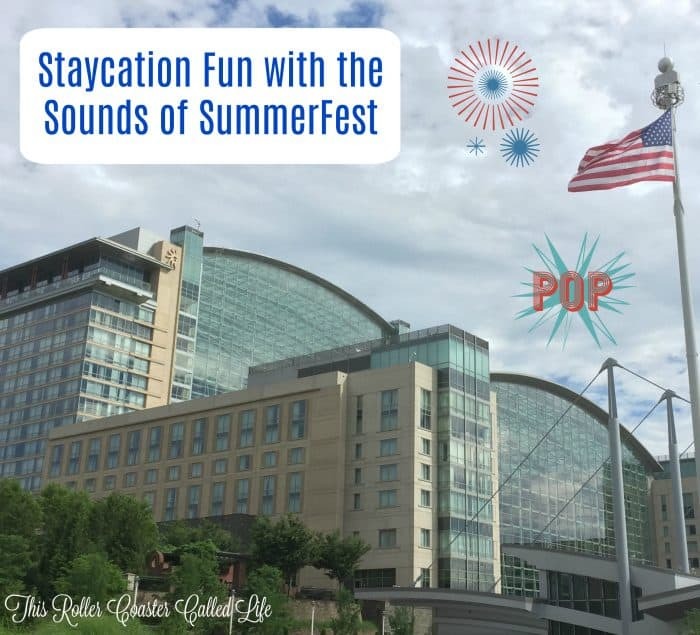 If you are traveling in the Washington D.C. area this summer, make sure to see if the Sounds of SummerFest offerings at the Gaylord National Resort & Convention Center might fit into your plans! This sounds like a great summer trip. What a wonderful vacation! I love the place you stayed …so relaxing! Looks like you had a great time. Looks like you had a great time! Your room was wonderful … looked very relaxing. A laser show and fireworks sounds wonderful! We stayed for the first time this year in a hotel with an atrium, and it was really neat. I loved having breakfast in a sunny open area, though enclosed from the weather and insects. I love staycations, and this looks seriously nice!! I wanna go!! This sounds like a great trip. I have never heard of any of these places before this post! Thanks! I love the bean bag area! What fun!